Nutrisaf®501 is a premium dry autolysed yeast rich in highly digestible essential amino acids. 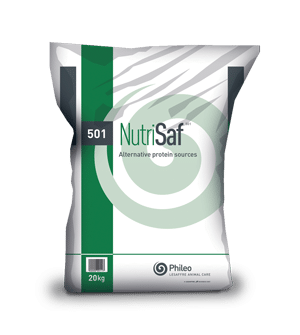 Nutrisaf®501 can be used as a sustainable non-animal protein source in reformulation strategies. Nutrisaf®501 is obtained by drying Saccharomyces cerevisiae proprietary bakery strains, grown on a molasses-based media before autolysis. 20 kg multiwalled paper bag with a polyethylene liner.